I am a baby boomer. My mother suffers from Alzheimer’s disease. Five years ago, I left my job as the CEO of a small software company to take care of my mother. I am living the devastating effects of Alzheimer’s from the front row. It is rare to meet baby boomers that are concerned about their own uncertain fate when it comes to Alzheimer’s disease. This includes most of my close friends. Fifteen thousand baby boomers are turning 60 each day. • Every 71 seconds someone develops Alzheimer’s disease. 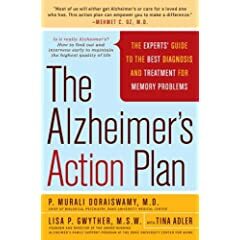 • Alzheimer’s disease is now the sixth leading cause of death (recently surpassing diabetes). • One in every eight adults over the age of 65 suffers from Alzheimer’s disease. • One out of every two adults over the age of 85 suffers from Alzheimer’s disease. • Ten million baby boomers will develop Alzheimer’s disease in their lifetime. Alzheimer’s disease is certain brain death. Imagine living in a world where you can recount experiences from 1936, but can’t remember your birthday party five minutes after it ended. Meet my mother. My mother never suffered a major illness. She never had an operation. Five years after her diagnosis she is in very good health. But, her brain is dying. She doesn’t know it. I started the Alzheimer’s Reading Room to keep track of the thousands of articles and many books I was reading. I soon realized I could help the ten million Alzheimer’s Caregivers worldwide by personalizing this information on my blog. Later on, I decided to start writing about our successes in fighting the disease, our decisions on treatments, our new life style, where to look for help, and news about the search for a cure. I stick to information I believe is useful and helpful. There is an enormous amount of new information each day; it’s difficult to identify the best and most useful information. This is my job. • High blood pressure (hypertension) is a cause of cognitive decline. Hypertension causes build-up of beta-amyloid in the brain. This is a complication frequently associated with Alzheimer’s disease. Take action to get your blood pressure down now. • High cholesterol levels in your 40s may raise the chance of developing Alzheimer’s disease decades later. Failure to deal with this condition effectively could raise the odds of contracting Alzheimer’s disease by fifty percent. Get your cholesterol checked often and get it down. • B12. A recent study found that people with higher levels of vitamin B12 were six times less likely to experience brain volume loss. A simple blood test is all that is needed to check the level of B12 in your system. You should start eating foods rich in B12 and consider getting B12 shots to raise the amount of B12 in your system. • Big Belly. Having a large belly in middle age nearly triples the risk of developing dementia. • Cocoa flavanols. A recent study at Harvard found that those who regularly drank a cocoa flavanol-rich beverage had an eight percent increase in brain blood flow after one week, and 10 percent increase after two weeks. I highly recommend incorporating this into your diet. • Exercise. A new study just released shows that regular exercise is one of the best ways to reduce your risk of dementia and can help slow progression of Alzheimer’s disease. In the days ahead, I will be writing more about ways to combat Alzheimer’s disease. If you know someone currently caring for a loved one with Alzheimer’s disease please tell them about the blog. You can subscribe to the blog via email or reader by taking the appropriate action on the blog. They are predicting that ten million baby boomers will suffer from Alzheimer’s disease. By spreading the word and taking action we can lower the number. Let’s get together on this.